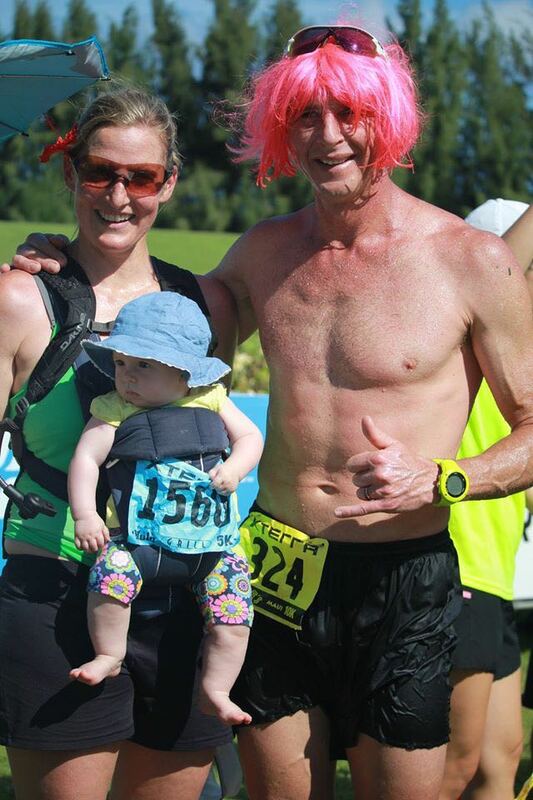 The morning after barely scraping into the XTERRA Hall of Fame, the Cave trio did the XTERRA Trail run, in Kapalua, Maui.#PrincessHotstuff & Zena the 5k and I the 10k. Judging by Zena’s chewed and scrunched number, we realized she also loves race numbers. (I collected about the last 20 years of mine) And we dont want to brag or pressure, but I’m pretty sure she smashed the under 6 month age group. 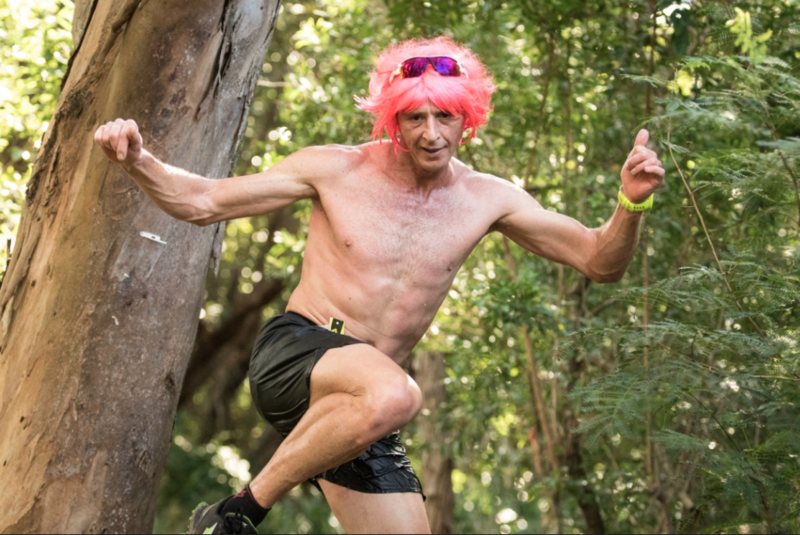 It was Halloween, so there were lots of costumes (and a hotly contested costume contest) in the trail run. 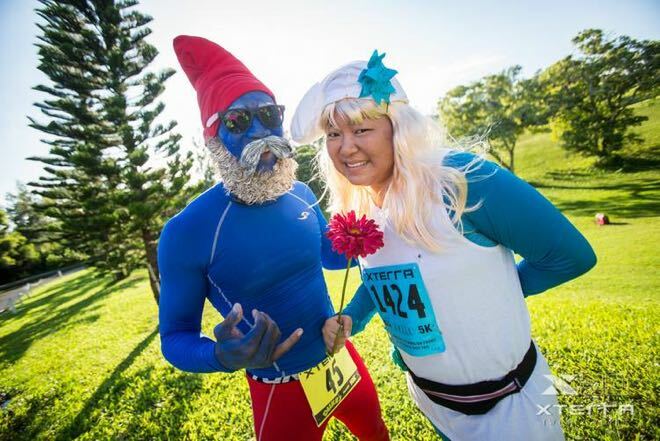 The Smurf couple looked great, but the blue Smurf ran into some overheating troubles at the finish. Wearing shorts, shoes and shades on the start line, I was concerned about looking like I’m here to race. (see, he can’t retire!) So I first had a pint of Ben and Jerry’s ice cream for breakfast, then dug through the XTERRA wig box and found a nice pink wig. Suddenly nobody recognized me. When wearing a costume at a running race, the general rule of thumb is: Start flat box and lead the race for the 1st 500m – even if it kills you! (As many Elvis impersonators can attest) That way, everyone gets to admire your costume. Fueled by an ice cream sugar rush and relative anonymity of a pink wig & shades, I did just that when the cannon boomed. 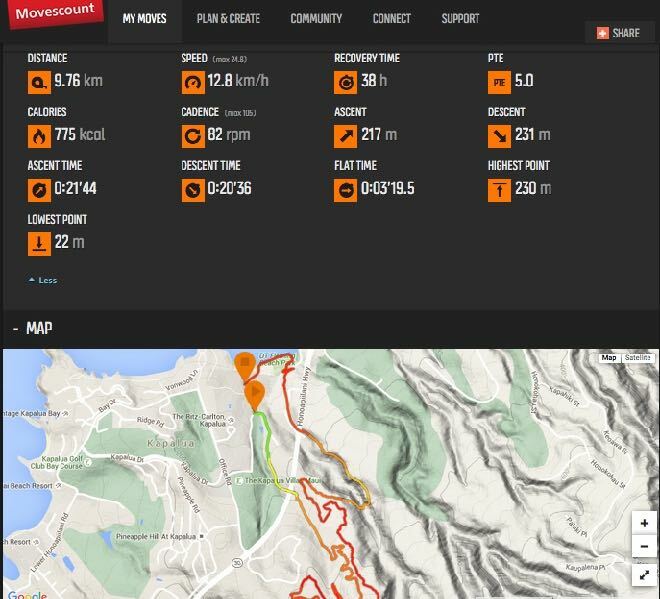 So I took my finger off the “Detonate” button, and enjoyed the scenery and just the act of running. Like I will the 29+ years to come. 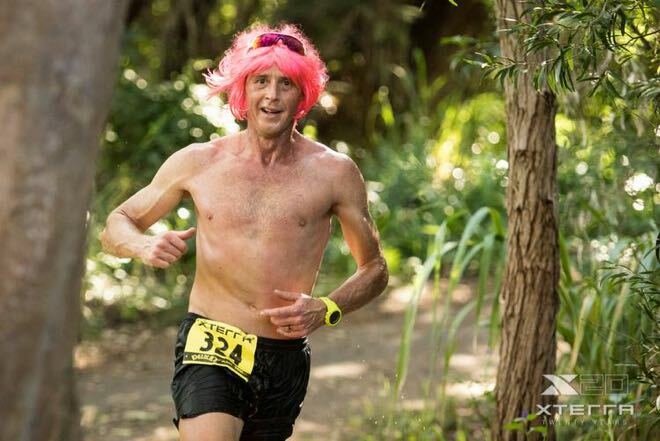 My Altra Superior 2.0 trail racers were so fast, the photographer barely kept up with them. To me, “retired” does not mean sitting on the couch – it means doing the sport I love for nothing but pleasure. 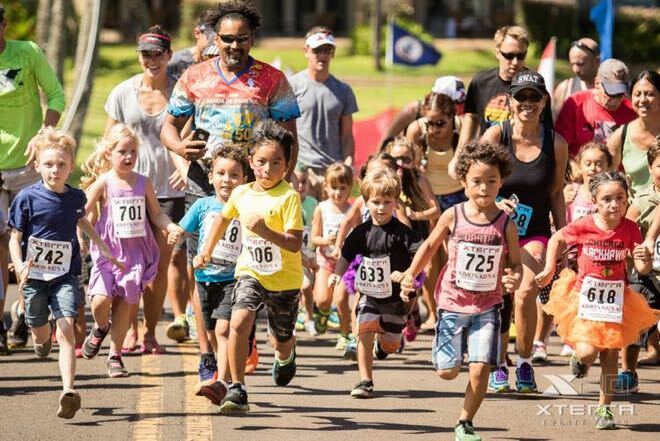 The future of the sport- the Keiki (kids) race was a hit. Looking at them makes me realize I did sprint off the start line like a kid. Full circle? This entry was posted	on Friday, November 13th, 2015 at 5:53 pm	and is filed under Blog Entries. You can follow any responses to this entry through the RSS 2.0 feed. You can leave a response, or trackback from your own site.